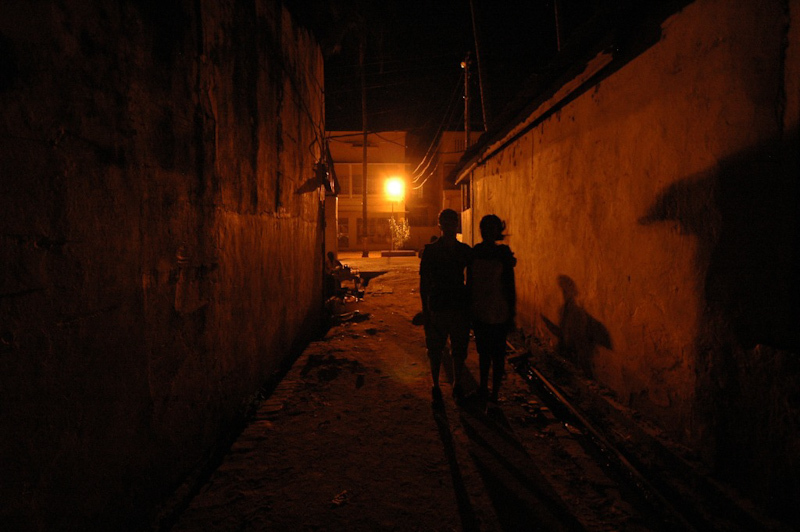 An accidentally met Congolese girl leads us through the dark streets of Kalemie. We believe she is a person who knows a place where you can buy lotoko. In twilight, seeing only the shadows cast by warm light of street lamps we reach the secret place. It is a bar invisible for a casual passerby. Kind of a shabby dive meant for locals to have a drink. The host pours us a glass of lotoko to taste. Right after the first sip I find out that it it is the first quality Congolese moonshine made from manioc. We place an order and promise to come the following day to pick it up. Lotoko is a word in the Lingala language and is recognized in the whole Democratic Republic of Congo, despite the fact that Lingala is officialy spoken only in the western parts of the country. Usually lotoko is derived from cassava, but it can also be made from maize or plantains. The production process itself is fairly simple. Cassawa flour obtained from manioc tubers is cooked, thus obtained pup is subject to fermentation. The distillation of the alcohol is performed in home conditions and due to common lack of the other containers, the appropriately adapted oil barrels are used for that stage. As it turns out later, progressing our bikes a few days inland the Congo the price of a home-made lotoko would decrease more than six times to less than a dollar per bottle. Depending on a batch, a production process and a stage at which the fermentation is aborted, the lotoko may have a different taste and different alcohol content. With no doubt it is a very special drink. It can burn your throat or may be like as delicate as white wine. Once it tastes like a distilled spirit and the other time may have an intense flavor of fermented cassava. We stock up with lotoko in random villages. 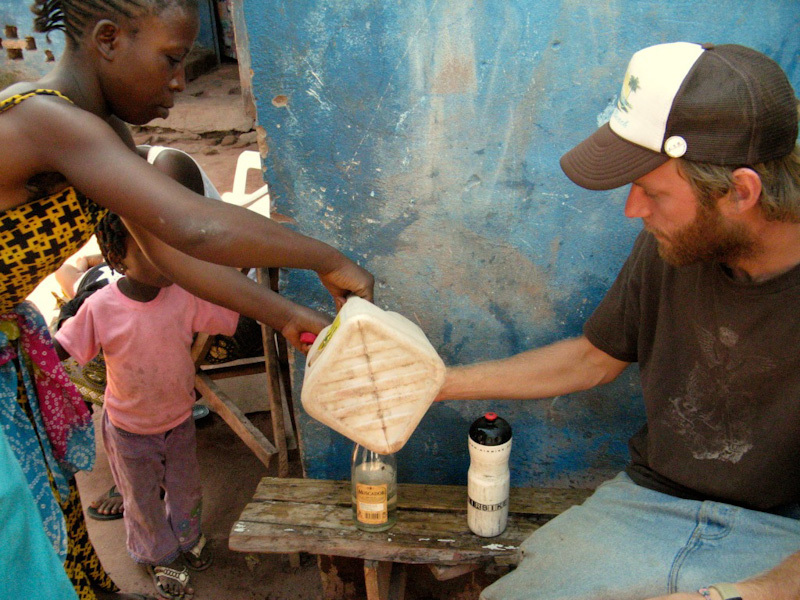 Throughout the entire Congolese adventure we eat with your hands from a common pot whatever is being served by locals. Our new custom, a daily sip of lotoko for a good night’s sleep helps digestion and disinfection of pathogens. It works perfect.